The entrance of a new year has long since been used by individuals as a way to reboot their lifestyles and goals and begin to live more consciously. Western culture traditionally has people compiling lists of resolutions that will help them prioritize and seek goals centered around their health, wellness, productivity, and overall happiness. People use this change in the calendar as a blank slate – as a way to revisit intentions and revitalize or repurpose them. Just as individuals feel the need to evaluate themselves and reshape their objectives come January 1st, so do organizations. This is why we, the Dignity & Respect Campaign, are thrilled to announce our plans to relaunch this month and roll out exciting new ideas for the coming year and beyond. The Dignity & Respect Campaign began as an internal initiative within a larger corporation and has since grown into a separate entity that is now recognized as a national campaign. This campaign is based upon 30 Tips to inspire and promote dignity and respect. There are also 7 Pillars that help to reinforce these tips, as well as specialized initiatives and areas of focus that support the campaign. The D&R organization also delivers specialized programs, educational and training resources, as well as communication tools to advance our mission. We hope that you will join our efforts and encourage others to join as well. Let’s create safe spaces to learn about and accept others. Let’s get involved. Let’s treat everyone with the dignity and respect we all want and deserve. Dignity & Respect Month a Success! 1. We exceeded our goal of 125,000 Pledges by 2,000 for a total of 127,083 pledges. 2. Fans of the Dignity & Respect Facebook page increased by 20%. 3. 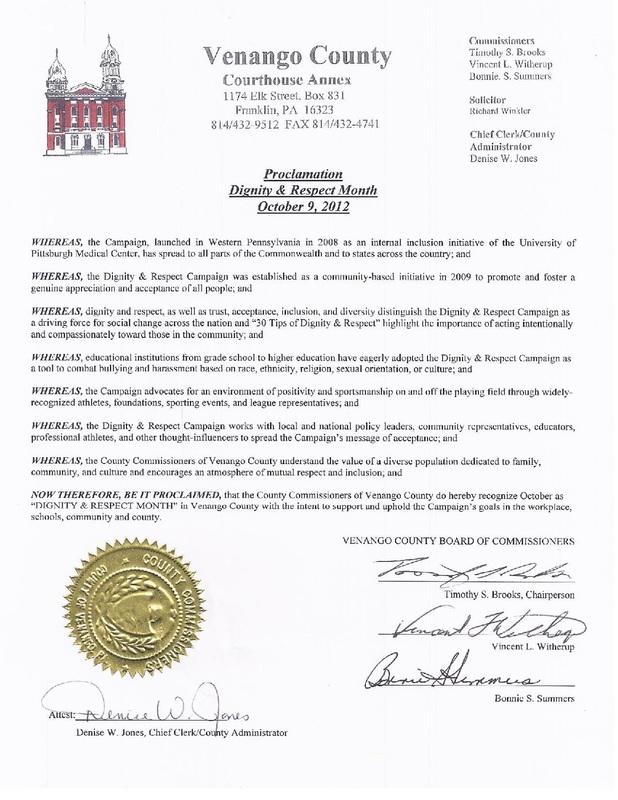 We received proclamations from 18 municipalities throughout western Pennsylvania, where the campaign started, plus Pitt County, North Carolina, and Washoe County, Nevada. 4. Nominations for Dignity & Respect Champions were received from coast (Massachusetts) to coast (Florida) to coast (Oregon). 5. The winning video was submitted by a new father from Donora, PA.
6. Most importantly, we received valuable feedback through the D&R Survey from individuals and organizations about being treated with dignity and respect. Once again we Say “Thank You” for all of your support and for Taking 5 minutes to make a difference. The casual student of the American War for Independence, when considering the role of African Americans in the Continental Army, might assume that they played no significant part. Usually the layperson will take for granted that African American patriots must have fought in segregated, “all-black” units, served simply as laborers in the construction of fortifications and camps, or as servants to wealthy army officers. Oftentimes, it is also presupposed that the attitudes of all Euro-American officers and enlisted men toward African American soldiers were categorically negative. However, upon reading contemporary accounts and strength reports, one will discover the legacy of the Continental Army regarding race: the Continental Army was the first integrated army in American history. Unsuccessful attempts were made during the war to segregate the Continental Army, but due to manpower needs these attempts did not diminish its racial integration. Unfortunately for history, it was the philosophy of racial segregation in the American military that survived the Revolution to be implemented in future American conflicts. Even so, during the American Revolution, Euro-American Continental Army officers and enlisted men recognized the necessity of tapping into the manpower available in the colonial African American population and embraced (although at times hesitantly) the inclusion of the African American citizen-soldier in the contest for American independence. American citizen-soldiers of European and African descent who served in George Washington’s Continental Army during the Revolution were exposed to the first integrated army in America’s history. Read more about America’s diverse beginnings here. This is the fourth year for the birthday celebration, which the theater started in 2008 as a tribute to Strayhorn. Both he and Gene Kelly’s birthday’s are celebrated yearly. The former Regeant Theater was renamed the Kelly Strayhorn Theater in 2000 in honor of both Kelly and Strayhorn. “Billy Strayhorn’s legacy isn’t really known here or appreciated as well as it should be. 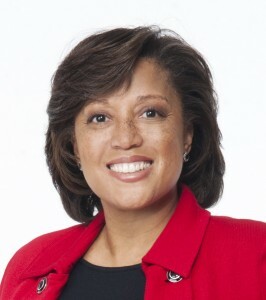 It’s known nationally and internationally, but it’s not always connected with Pittsburgh,” said Kelly Strayhorn Executive Director, Janera Solomon. The evening promises to be beautiful as it will feature local and nationally known Jazz musicians including Roger Humpheries and a six-piece Jazz ensemble with three vocalists singing Strayhorn’s music; spoken word artist Leslie “Ezra” Smith will read a work that was commissioned for the occasion. Former Pittsburgh resident and Billy Strayhorn’s nephew, Dr. Greg Morris, will join in the celebration. Billy Strayhorn was born in Dayton, Ohio, but his family moved to Pittsburgh’s Homewood section where he attended Westinghouse High School. His musical career began in the Golden Triangle when he studied music at the Pittsburgh Music Institute. Strayhorn met band leader Duke Ellington in 1939 after a performance in Pittsburgh. At that time, Strayhorn informed Ellington how he would have arranged one of Ellington’s songs. Strayhorn’s boldness enticed Ellington enough for him to invite his band to hear Strayhorn. Next, Ellington invited Strayhorn to New York and Strayhorn worked with Ellington for the next quarter century as an arranger, composer pianist and collaborator until Strayhorn’s death from cancer in 1967. “It took me a while before I knew what kind of music he composed. But when he would come home to Pittsburgh, there would be a big celebration. When he got involved with Duke Ellington he sent me postcards from all over the world. I knew he was something special. I knew he was something very big. But I didn’t have a sense of how widely known he was and the music he made until after he died,” said Morris who now lives in Arizona. It’s Back-to-School time for many schools, colleges and universities. What are you doing to promote Dignity & Respect this school year? We are also very fortunate to have 4,500 awareness bracelets donated to us. These will be placed in all new student care bags upon arrival to orientation. So start the semester off right and do your part to promote Dignity & Respect on your campus too! Enter Our “Picture a Better World” Photo Contest! Do your pictures always capture the right moment? Now is the time to put your photography skills to the test! Each week from now through October, we will ask you to submit a photograph that you believe best represents one of the Dignity & Respect Tips on our Facebook page. This week, submit a picture that best represents Tip #21: Get Someone else’s point of view! Step 1: Become one of our Facebook fans by clicking “Like” at the top of the Dignity &Respect Campaign’s Facebook Page. Once you are a fan,share your best photo on our Facebook wall. Be sure to include your name and a short caption as part of your Facebook post explaining why you think your photo best represents the Tip! Step 2: Once your picture is posted, our Facebook fans will be invited to vote for their favorite photo by “Liking” the photo that positively represents the Tip. The one photo with the most likes will be our winner, so don’t be afraid to generate support for your entry: Ask your Facebook friends to vote for you! The Prize: The winner will receive at $50 Visa gift card generously donated to us by one of our sponsors! This prize may be redeemed anytime and all photo entries may be used by the Dignity & Respect Campaign for future awareness campaigns. Photos that are not appropriate for all audiences will be deleted and not entered in the contest. Contest dates and conditions may change, so follow us on Facebook and Twitter to keep up to date on all our announcements! So get started practicing the Tips today and start snapping!